With the advent of the long-anticipated Lightning Network (LN), crypto enthusiasts have more to look forward to than faster, cheaper transactions. Just as smart contracts brought DApps to Ethereum’s network, the Lightning Network is primed to bring a host of Lightning apps to Bitcoin. These applications, fittingly dubbed LApps, will leverage the Lightning Network to usher in a new generation of payment applications to the blockchain industry. Lightning Labs rolled-out their beta for the first implementation of the Lightning Network on March 15, 2018. In practice, the Lightning Network allows Bitcoin users to send transactions on an off-chain network through payment channels. Since these channels aren’t connected to the blockchain, users can send near-instant transactions, however small they may be, without incurring exorbitant fees. Before the Lightning Network went live, Lightning Labs launched their Lightning Desktop Wallet so users could get a feel for the network while it was in testnet. Now that the LN is in full beta, Lightning Lab’s wallet has been joined by Zap, a user-friendly wallet by Jack Mallers that’s meant to make the Lightning Network more accessible to the general public. In the few weeks since its release, developers have introduced LApps for the network that look outside the limits of mere wallet and payment channel functionality. 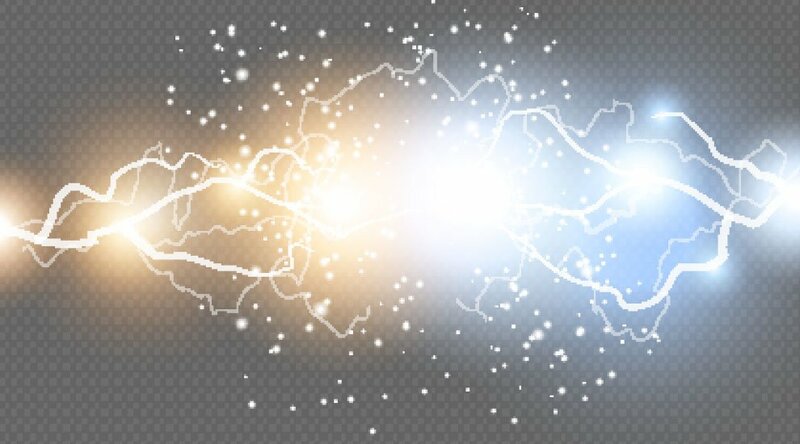 Now, there are dozens of Lightning applications for any of four distinct implementation (lnd, eclair, c-lightning and lit) across four programming languages (Go, C, Scala and Java), as developers continue to build on the technology. One such developer, Nadav Ivgi, has been particularly busy. He’s the man behind the seven new applications showcased during Blockstream’s “Week of LApps.” The blockchain development company presented the projects as an extension of Lightning Charge, a payment processing solution for c-lightning, Blockstream’s implementation of the protocol in the C programming language. Among these creations, Ivgi gives us nanotip, a tipbot that gives content creators and users an LN alternative to traditional bitcoin tipbots. Complementing the WooCommerce Lightning Gateway, one of Blockstream’s first LApps, Lightning Publisher is an additional WordPress plug-in that gives publishers an ad-free revenue alternative. With it, they can charge their readers a subscription to access content, payable through LN payment channels. Similarly, FileBazaar lets content creators monetize their data and files — be they pictures, videos or other documents — with an online marketplace that offers pay-per-view access to such content. Lightning Charge’s LApp suite also comes with its own point-of-sale solution for merchants, nanopos. As one might imagine, point-of-sale applications have proliferated for the Lightning Network, as developers grind out code to find a solution to the market’s needs. Among these, we have another WooCommerce plug-in built on the Lightning Network Daemon (lnd), and Strike, a Stripe-esque API for merchants built with Eclair, the Scala programming language’s implementation of the LN. Eclair is also working on Lightning Conductor, an application that would allow users to convert their payment channel balances to bitcoin and back without closing the channels themselves. Payment solution LApps abound but that hasn’t kept developers from building innovative, more nuanced applications for the Lightning Network. Take, for instance, Bitrefill, an application that allows you to top-off a prepaid mobile phone card with payment channels, or CoinMall, a Lightning-powered online marketplace for digital products. There’s even a Slack tipbot and one called CoinTippy for Reddit, Twitter, Telegram and other platforms. And then there’s 1ML, a search engine built to track nodes, applications and other aspects of the LN ecosystem. There are more unconventional and curious manifestations still. Bitquest, a crypto-centric Minecraft server, is getting its own Lightning payments option, while Lightning Gem and Thunderdice have begun tapping into off-chain, Satoshi-funded gambling. Y’alls, a Yours-like blogging platform, is using Lightning payments for pay-per-view articles. Hungry? Lightning has that covered, as well, with Block and Jerry’s and Starblocks, crypto-couriers dishing out ice cream and coffee in exchange for LN micropayments (sadly, these services are not yet fully available). This is just a sampling of an expanding list of LApps, and, if anything, the diversity of the applications currently in existence shows that the limits of what the Lightning Network can offer are confined to the imagination of the developers building on it. Bear in mind that, while these applications can run on either Bitcoin’s mainnet or testnet, their developers generally recommend that users stick to testnet payments until the Lightning Network’s kinks are ironed out. But with more than 1,000 nodes already supporting Lightning’s mainnet, it likely won’t be long until these, and other applications, can make the leap toward full functionality on Lightning Network’s growing architecture.